It's Saturday morning, and like most geeky 40-something guys, that makes me think of the Saturday morning superhero cartoons of my childhood. And thinking of that has me musing on Marvel's announcements from last week. One of them is profoundly digital. One of this is, perhaps, just a little bit post-digital. “Infinite Comics are a new technique in comics storytelling that is built specifically for the digital world yet in a very elegant way manages to keep the purity of what makes a comic a ‘comic,’” explains Joe Quesada, Chief Creative Officer of Marvel Entertainment. “It gives readers the same feel of reading a traditional comic while also offering a whole new experience that really feels like the future of where the medium is headed." “There exists a place somewhere between comic book pages and animation — there’s a gray zone that we’re going to be exploring,” said Alonso, saying the new format allows for the equivalent of camera zooms and other cinematic devices. 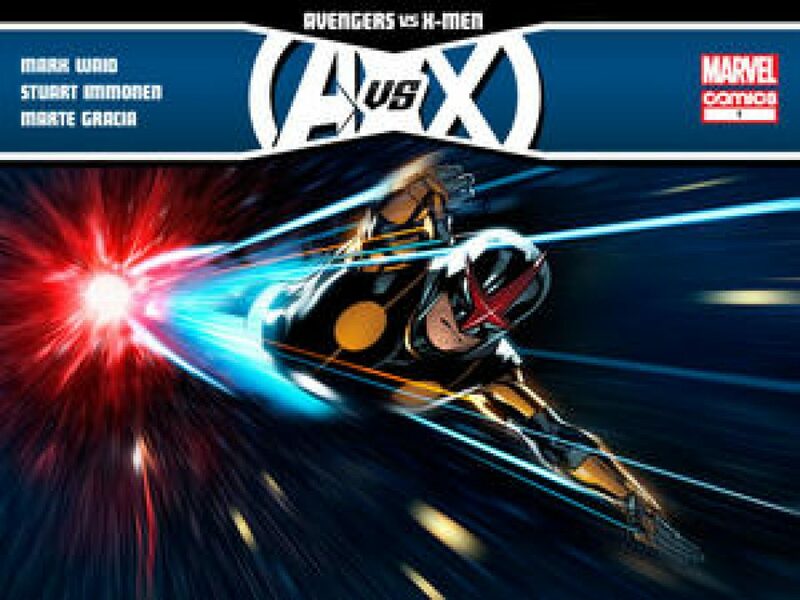 Wired checked out a preview of the first Infinite Comics release, a Nova story spun out of Avengers Vs X-Men. The new format allows for close-ups, the tap-by-tap display of captions and other unique treatments that give writers more control over the story’s pacing. OK. That's a digital play. Comics have been pretty much locked into their paper form up until now. Sure, the arrival of the iPad and the Comixology-based apps opened up a new market for direct digital copies of those paper comics. But this is a big step towards something genuinely built for the new medium. The Marvel AR app, powered by Aurasma, will be released in April for iOS and Android devices. By opening this app and scanning select Marvel products featuring the Marvel AR logo, you’ll unlock exclusive content starring the world’s most popular Super Heroes--including Iron Man, Thor, Captain America, Spider-Man, Wolverine, Hulk and many others! Go behind the scenes of your favorite comics, see new footage, hear from creators, catch yourself up on past events and more! Now, this is either going to be a nasty gimmick, which doesn't add any real value to the original product - or an interesting blend of the physical and digital that's used to create some interesting and creatively viable that couldn't be done in either medium alone. Care to place your bets?